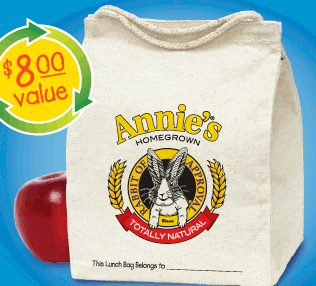 Buy 2 Annie's Homegrown Products and get a FREE Lunch Sack! You just need 2 UPC codes and the products need to be bought between 7/15/10 and 10/31/10. Thanks Organic Deals & She Saved!